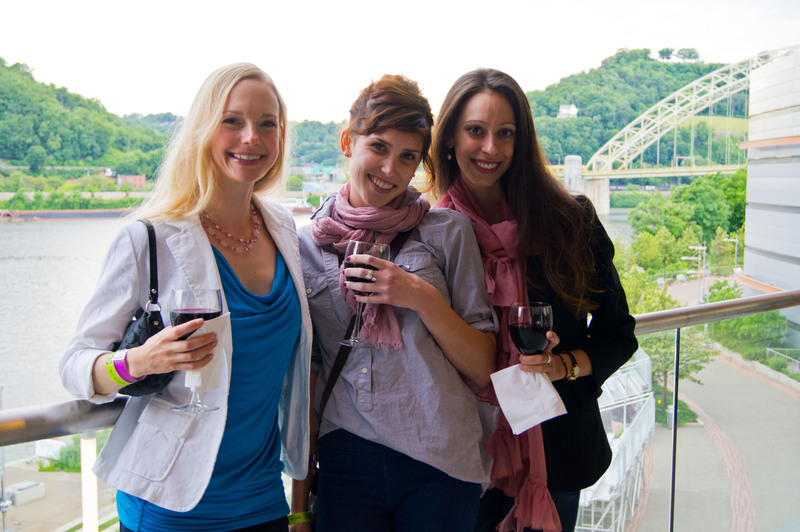 This past Monday I attended Pittsburgh Magazine’s Best Restaurants Party with a few friends of mine. We originally heard of the party a few months ago through Groupon and bought tickets right away, taking advantage of the 50% discount in price. On the day of the event, we arrived a little before the doors opened at 6 pm and there was already a line extending almost the length of Heinz Field. 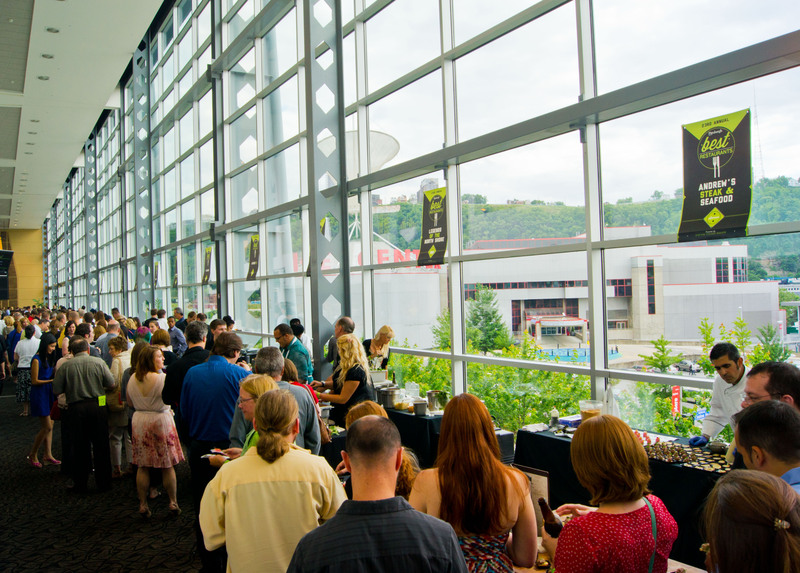 The event was held in both the East and West sections of the club level in Heinz Field. 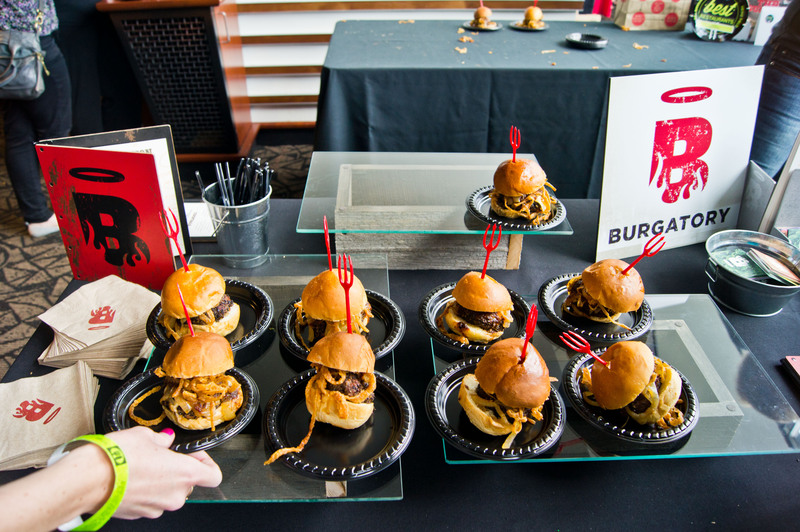 There were tables, one for each of the featured restaurants, set up along the scenic glass walls in each of the clubs. Overwhelmed by the number of restaurants and the volume of food available to us we came up with a small strategy. 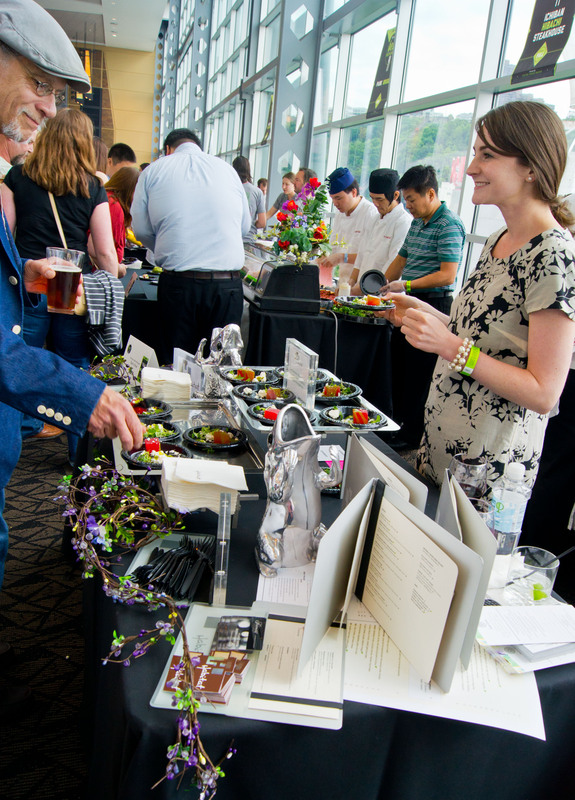 We parted ways to survey a few different tables, sizing up our options, then we made our selections, grabbed a few plates each, and reconnected at an empty table to share what we got. 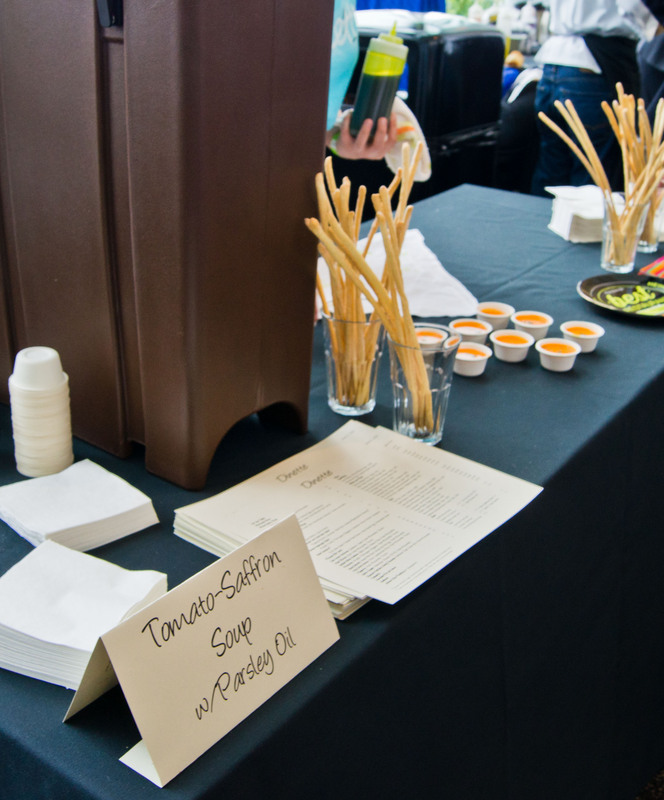 This way we could get to taste most of the offerings without wasting food or getting too full. By the time we made it to the other club level, many of the restaurants had already run out of food. I had been to a few of those restaurants already though so thankfully it wasn’t the worst that could’ve happened. I tried so many dishes. Some exceeded every expectation (I’m still drooling over them) and some sadly disappointed (like a bland tasting kielbasa). 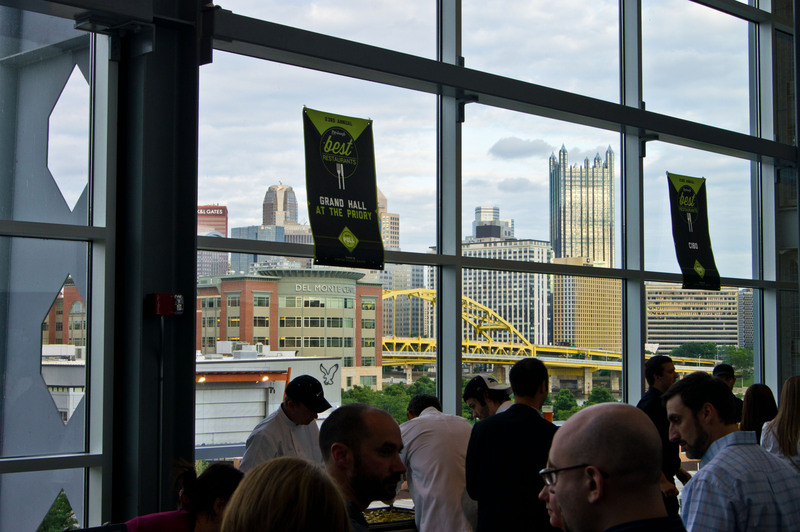 Now I know what to move to the very top of my ‘Pittsburgh restaurants to try’ list… Dinette, Spoon, Paris 66, Cure… and so many more. I think there are about 30 restaurants on my list at the very least. They are all here in Pittsburgh too. Imagine the trouble I would be in if I lived somewhere like Philadelphia or New York where my list of ‘restaurants to try’ would extend off the notepad on my phone and out my front door. Good thing I live in the small but mighty city of Pittsburgh! 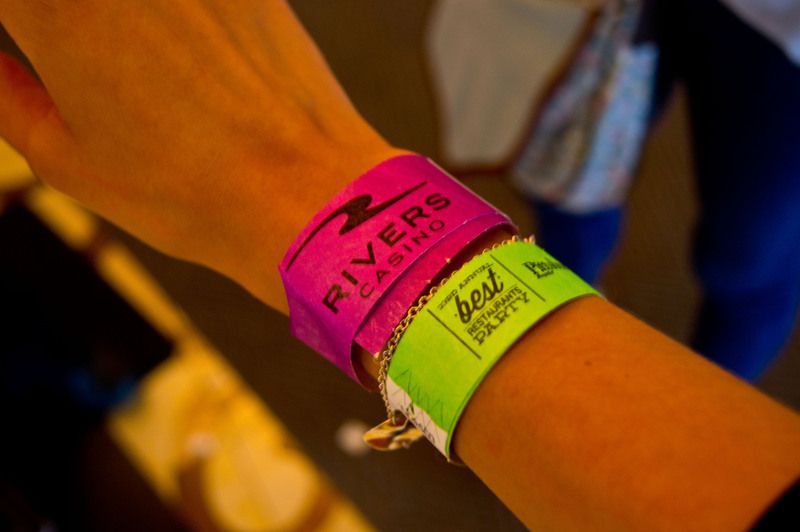 Once we were completely satisfied with full bellies, we took the shuttle over to the after party at Rivers Casino. It was my first time in the new casino. What a huge place! In addition to more food and free drinks, we were given $10 to play the slot machines. That will be the first and only time I gamble. How does anyone win on a slot machine? The most I won was $3 and it was all gone three spins later. I had always wanted to experience gambling, I had no idea what to expect. I tried it. It isn’t my thing. Now I know. I’m sad that this event only comes once a year. I would go once a month if they offered it. It is such a great and easy way to try an incredible number of fabulous restaurants all in one night. Here are a few pictures from my adventures! Goodness I have much to catch up on! I have been living quite the whirlwind life lately. I have a new job as a professional ballerina (HOORAY!!!!!!) that has me working 9 to 6 5 days a week and my weekends have been full of traveling and auditioning. I love being busy though. I certainly do get worn down, but when I am turned on and have a pile on my plate I can just go, go, go until it is all gone. This weekend I am home, no auditions, so I am going to use the time to catch up on some things I have been neglecting. Like this. I have a new Iron Chef to review and just last night I visited a new restaurant in Pittsburgh that was simply impeccable. Let’s begin! 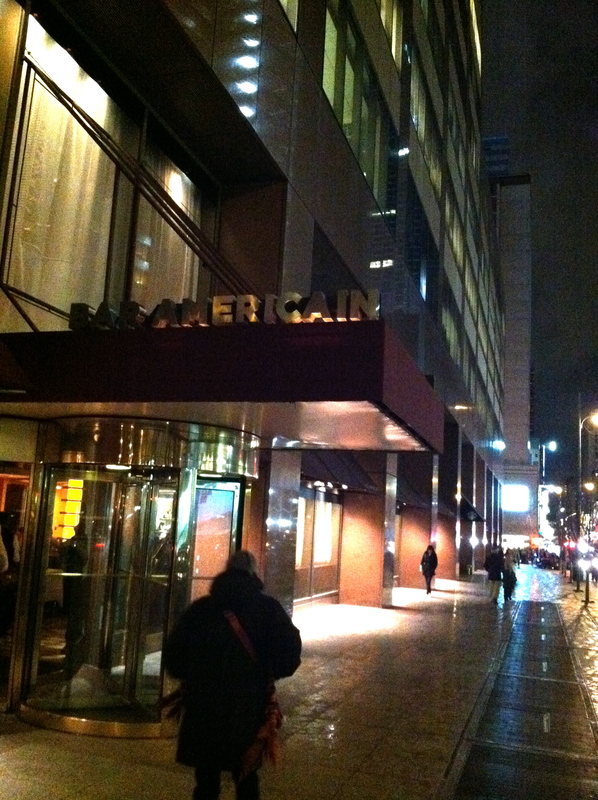 Last weekend while I was in New York City auditioning, my Grandma spoiled me once again and took me out to eat at Bar Amaricain, Iron Chef Bobby Flay’s restaurant, located in midtown Manhattan. He has a second location in Mohegan Sun, Connecticut too. I have to confess I wasn’t blown away. I don’t know if I was expecting too much and set my standards too high or if I just did a really bad job ordering. To give Bobby the benefit of the doubt I am choosing to think that it was my poor ordering that caused the disappointment. It was all very tasty, it’s not that it tasted bad, it just overall left me feeling kinda blah. Like I could’ve gotten a meal like that at any other fancy restaurant. Or even in my own kitchen. Because we went out to eat the night before my audition I didn’t want to eat anything too heavy that might make me feel sluggish or still full the next morning so I opted to get two appetizers. Usually for me that ends up being a perfect amount of food. 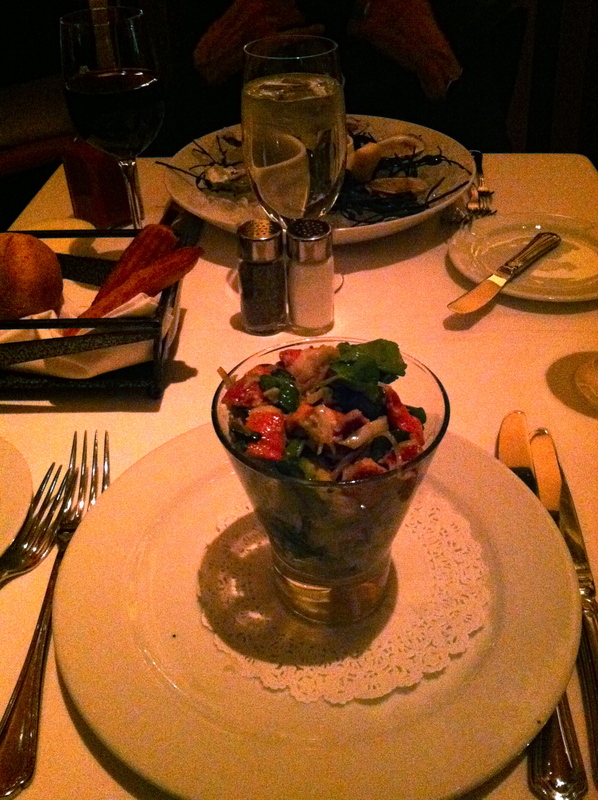 I chose a lobster and avocado cocktail and a chopped vegetable salad with farmer’s cheese. The lobster and avocado cocktail was very refreshing. The lobster was nice and fresh and the avocado was perfectly ripe. It was dressed with a light dressing and some fresh herbs. Very simple. Everything was presented as promised but there was a lot left to be desired. 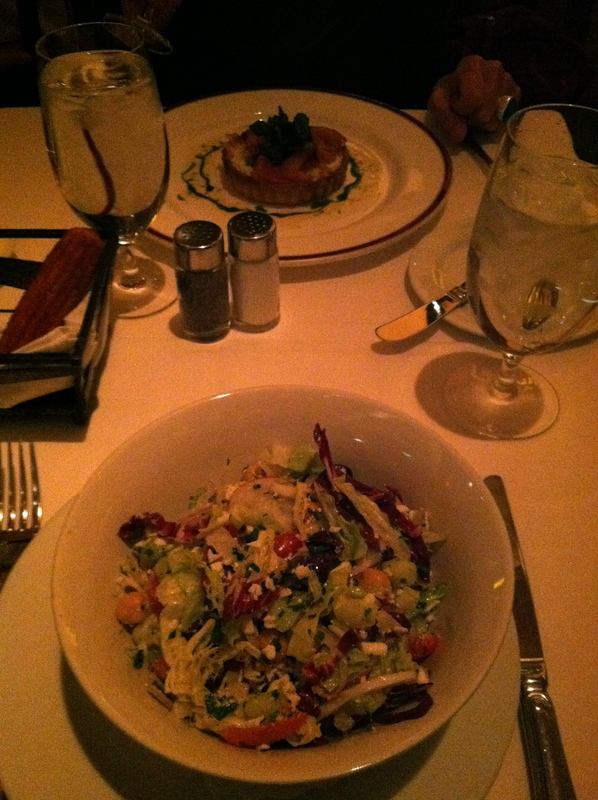 The chopped vegetable salad I have to say was the low point of the meal. I was expecting to get a lovely assortment of veggies like cucumbers and peppers and such but really what I got was a huge bowl filed mostly of shredded lettuce and cabbage. Not exciting. The dressing was light and barely noticeable (which I didn’t mind) and the cheese was sprinkled throughout in such little pellets that it was impossible for me to just pick that out and eat it by itself. What a bummer. I really could’ve made that by myself. I understand it is only an appetizer, but geez Mr. Flay, couldn’t you make it a little more out of my own culinary capacity? You are known for your bold flavors! Where are they?? As you can see in the background, my Grandma got an onion tart. That was pretty tasty. Finally something more exciting. I do think I could make that on my own too but it at least had some nice flavor and kept me excited bite after bite. It was topped with smoked salmon, giving it a very nice depth of flavor. Since my salad was so mediocre, I didn’t eat much of it. I felt very unsatisfied. I decided to give dessert a try. Maybe he can tie some loose ends. Maybe. 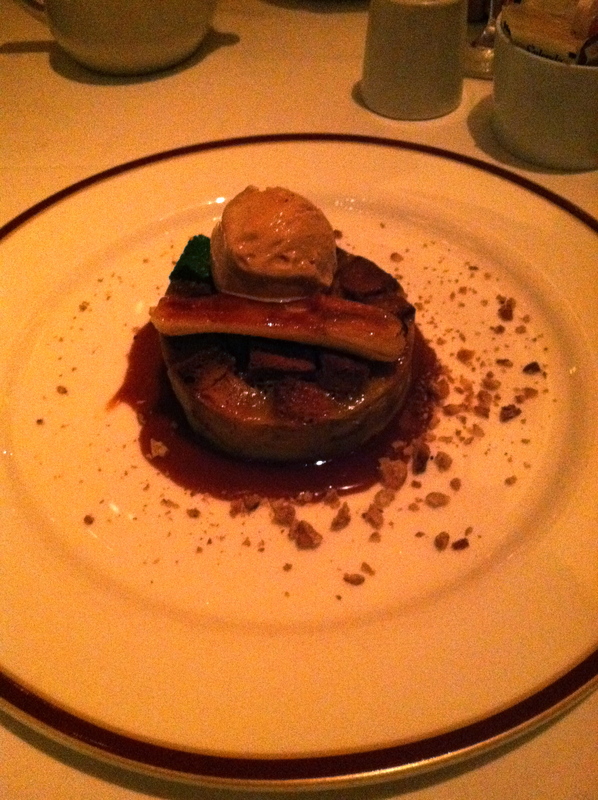 I was once again drawn to the banana bread pudding (just like I was while at my last Iron Chef restaurant: Marc Forgione). 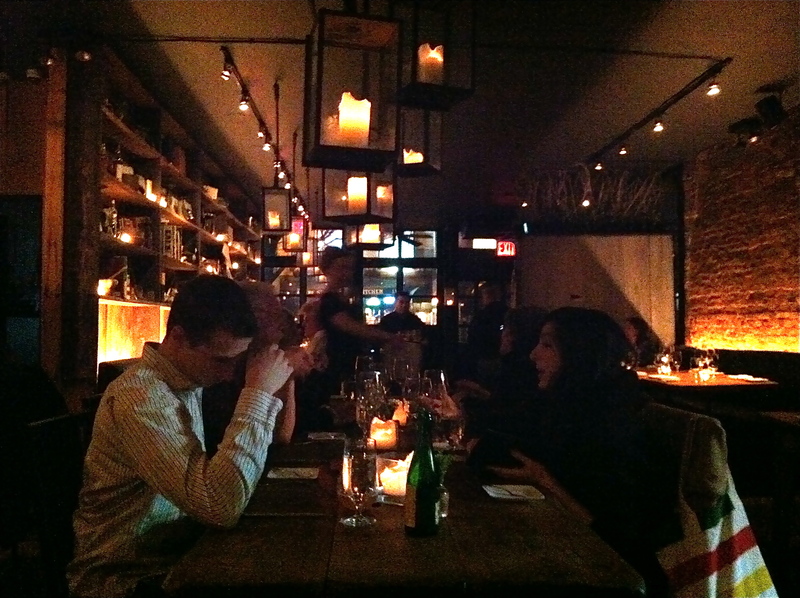 Marc Forgione’s was better, but it’s probably not very fair to compare, huh? Bobby Flay’s bread pudding was all one consistency. It was a little too much of a solid form for my taste. I would’ve preferred to be able to differentiate between the pieces of bread and the creamy pudding around them. The ice cream on top was so drab I honestly don’t even remember what flavor it was. The one high point of the dessert was the caramel sauce generously puddled on the plate. It was wonderfully sweet and had a really clean caramel flavor. Overall Bobby dearest, I have to say I wasn’t impressed. Although I just ordered appetizers, I was hoping I would be awed enough that I didn’t leave wondering if I should’ve gone for just a main course instead so I could have at least left feeling satisfied. What a pity. I wish to give you another chance. A shot at redemption. But maybe I’ll try one of your other restaurants instead… Mesa Grill perhaps? 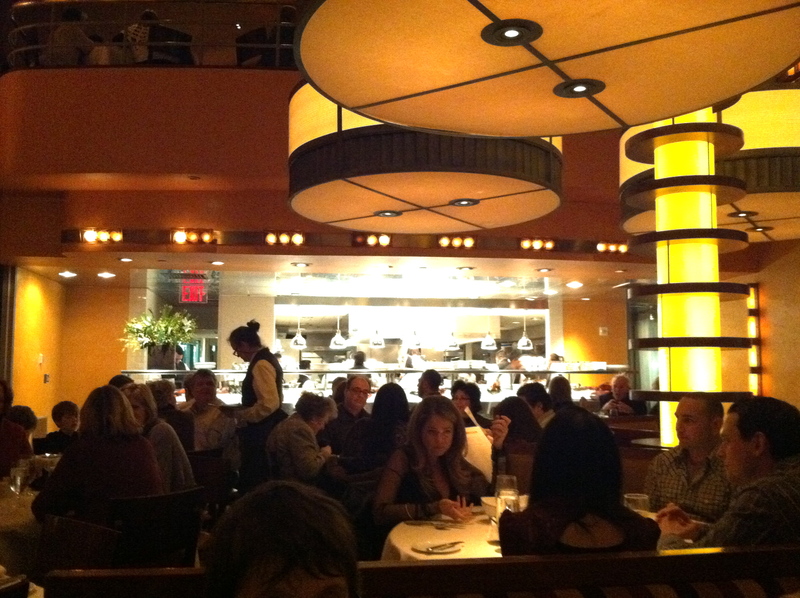 Not too long ago, I set myself a life goal to dine at one restaurant of each of the American Iron Chefs. As a foodie and lover of all foods creative and delicious setting this goal for myself will ensure that I continue to try new restaurants no matter what sorts of excuses I try to come up with. Too far, too expensive, too cold, too tired… you know the schpeel. Thanks to the generosity (and love) of my Grandma and my parents I have already been able to check three Iron Chefs off my list: Chef Morimoto, Chef Garces, and, as of last night, Chef Forgione. Both Morimoto and Restaurant Marc Forgione I went to with my Grandma in New York City. Chef Garces’ restaurant Tinto I went to with my parents in Philadelphia. Considering that I visited all three of these restaurants within the past year, I’d say I’m on a good pace to successfully accomplish this goal. Last night I dined at Restaurant Marc Forgione with my Grandma and sister after traveling to the big apple for yet another ballet company audition. The restaurant is located just one block from the Cambers St. subway stop in the heart of Manhattan’s TriBeCa neighborhood. The interior of the restaurant was dimly lit when I first walked in but as my eyes adjusted I no longer noticed that most of the light was coming from the large number of candles in the restaurant. Aesthetically placed of course. I also quite enjoyed the exposed brick wall I was facing and the large framed mirrors hanging on the walls to make the space feel larger than it actually was. Our meal began with a delightful two-part amuse-bouche. One bite was a lovely candied beet with a touch of creamy goat cheese on top. 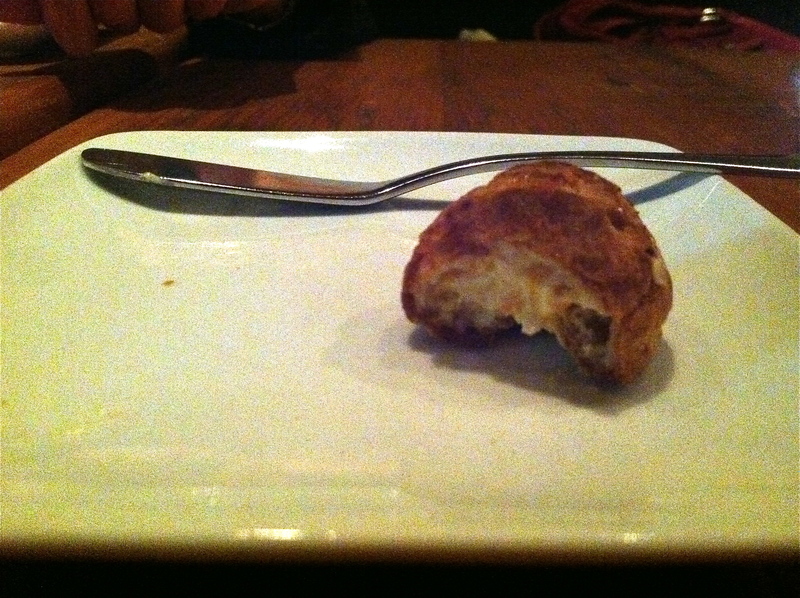 The other was a small puffed dough filled with vegetable cream cheese. Both were incredibly dainty and delightful. 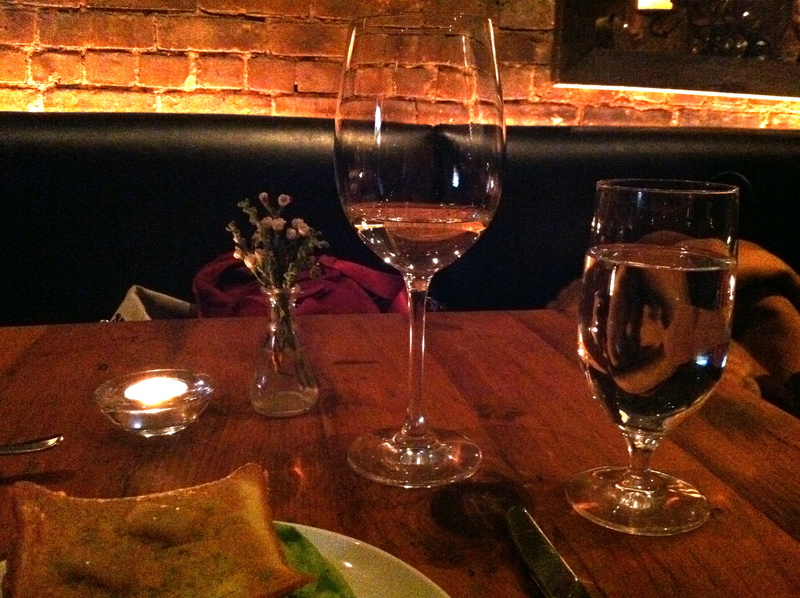 For my meal I took advantage of the “Sunday Supper” deal – 3 courses for $44. You could choose any dish listed on the menu too. It was much nicer to have a choice of 6 dishes for each course rather than the 2 or 3 choices you so often see on prix fixe menus. 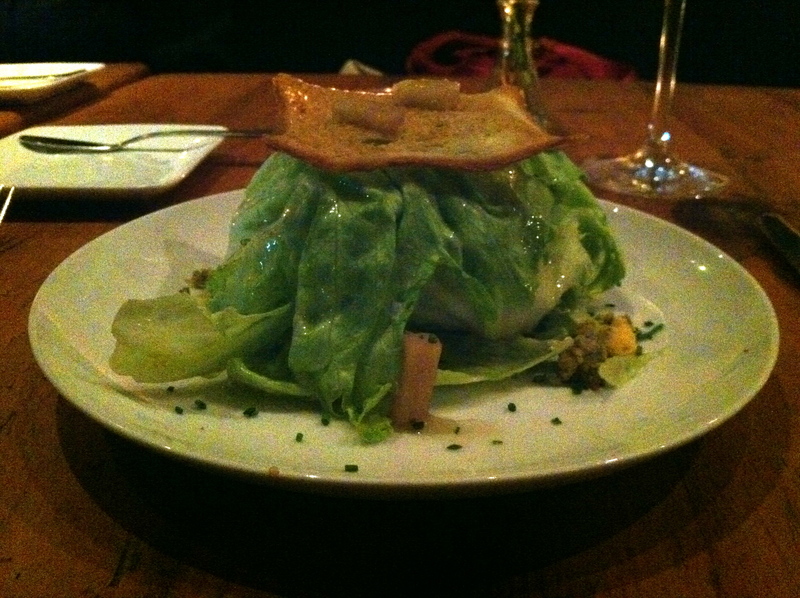 To start things off I chose iceberg lettuce with Shropshire cheese, jicama, and sherry vinegar. The cheese was of the blue-veined variety (which I absolutely adore) and was quite delicious. There was a little too much dressing on the salad for my taste – my lips involuntarily puckered a few times due to the acidity of the vinegar. But overall it was a wonderful light start to the meal and just the right amount of food for an appetizer. Next came my entrée. 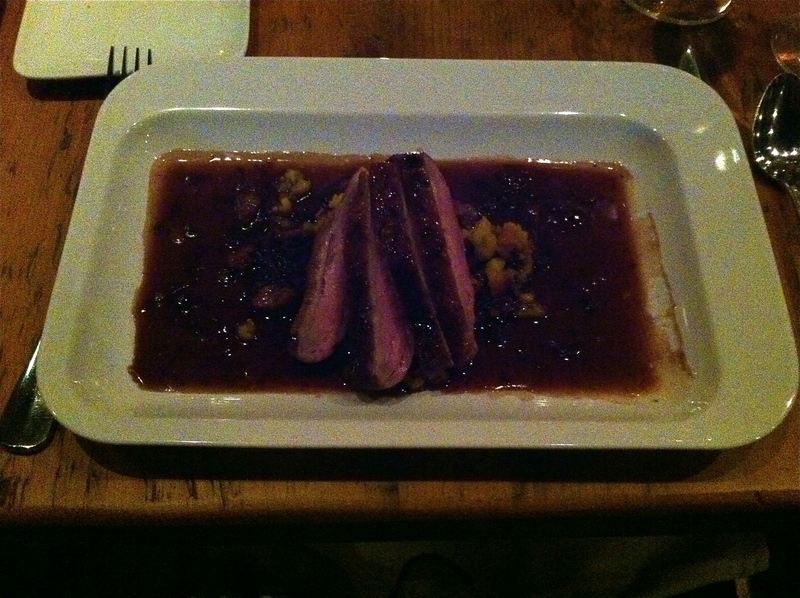 Four slices of perfectly tender duck breast with a beautifully caramelized skin, resting on a bed of shaved red cabbage which was cooked until it was soft and sweet, pumpkin spaetzle that I dare say was deep-fried (how magnificent), and refreshing pieces of parsnip. Around all of this was a delicately sweet, vanilla-y reduction that also possibly was caramelized somehow. The dish was wonderfully rich and sweet but not overly so. It hit just the right spot. For dessert, I continued my rich and sweet theme and gorged on banana “pecan pie” bread pudding, served piping hot with a scoop of vanilla ice cream on top. Once I cracked through the layer of “pecan pie” topping the bread pudding, I was delighted by the fresh banana flavor that was waiting below. Boy was that dessert gone in a jiffy! I was too excited to eat it I didn’t even pause to take a picture. What a fantastic meal! Three chef’s restaurants happily tasted, several more waiting to be enjoyed. Mario Batali, here I come! Welcome! This is my first experience blogging and it is going to be a complete experiment for me. I am moving to Dresden, Germany from Pittsburgh, Pennsylvania to follow my dream of becoming a ballerina. This blog will essentially just be a place to share anything and everything that I experience, with a slight focus on food (yum! ), fashion, and ballet. Hope I keep you interested! Thanks for reading!